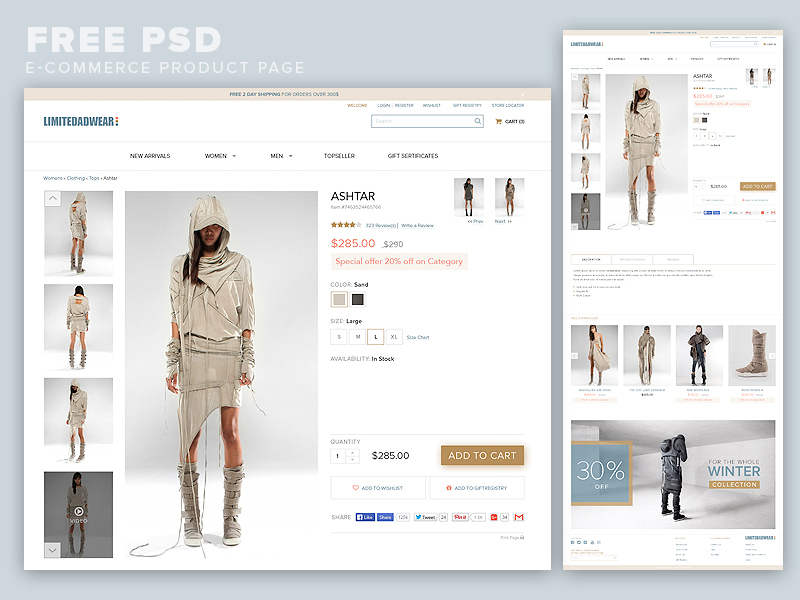 Download eCommerce Product Page Template Free PSD. A minimalistic and clean eCommerce product page template designed and released for free. It’s a good inspiration material for your future projects. This is the go-to freebie if you want to create websites about any product that you might want to sell. This free ecommerce template can work well for your new design requirements or for great inspiration. eCommerce Product Page Template Free PSD is a well layered psd file with user friendly design layout which is perfect option for modern, minimalist ecommerce theme solution. Hope you like it. Enjoy!